RuPaul as a juror, a Todd Haynes retrospective and eight more movies added to the festival’s slate. 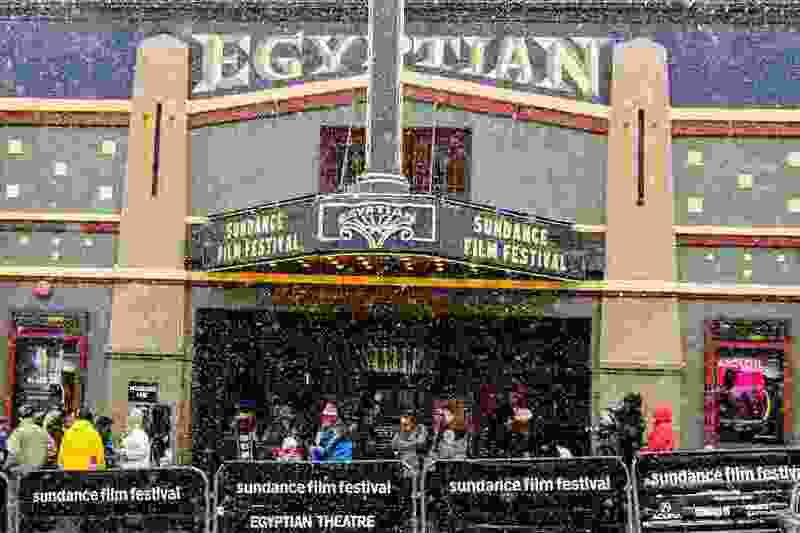 (Trent Nelson | Tribune file photo) Snow falls on the Egyptian Theatre on Main Street during the Sundance Film Festival in Park City, Friday, Jan. 20, 2017. A scary movie filmed in Utah, a hard drama about surrogate childbirth, a documentary about the standoff between American Indians and a pipeline project, and the arrival of drag icon RuPaul are among the late additions to the 2018 Sundance Film Festival lineup. Eight movies, two career retrospectives and a virtual-reality presentation have been added to the 110-plus films already announced for the festival, the Sundance Institute said Tuesday. For Utah movie lovers, one of the highlights will be “Hereditary,” a snowbound thriller directed and written by Ari Aster and filmed in Utah. It stars Toni Collette (“The Sixth Sense”), Gabriel Byrne (“The Usual Suspects”), Alex Wolff (“Jumanji”) and Ann Dowd (“The Handmaid’s Tale”). It follows the Graham family, who deal with a dark fate they have inherited from their recently deceased grandmother. The movie plays in the festival’s Midnight program. RuPaul will be doing double duty at Sundance. The drag star will be the lone juror to decide the winner of a new award, the Next Innovator Award, given to one of the movies in Sundance’s Next program that showcases forward-thinking ways of storytelling. RuPaul will also be feted with a retrospective to mark the 10th anniversary of his Emmy-winning reality show, “RuPaul’s Drag Race.” He will share the stage with the show’s executive producers, Randy Barbato and Fenton Bailey, and executives from MTV Networks. The 2018 Sundance Film Festival will run Jan. 18-28 in Park City and at venues in Salt Lake City and the Sundance resort. ( | courtesy Sundance Institute) Rory Culkin plays a Norwegian Black Metal musician in Jonas Åkerlund's Lords of Chaos, which will screen in the Midnight program of the 2018 Sundance Film Festival. (Alison Cohen Rosa | courtesy Sundance Institute) Joaquin Phoenix (pictured with Ekaterina Samsonov) plays a troubled veteran in Lynne Ramsay's You Were Never Really Here, which will screen in the Spotlight category of the 2018 Sundance Film Festival. 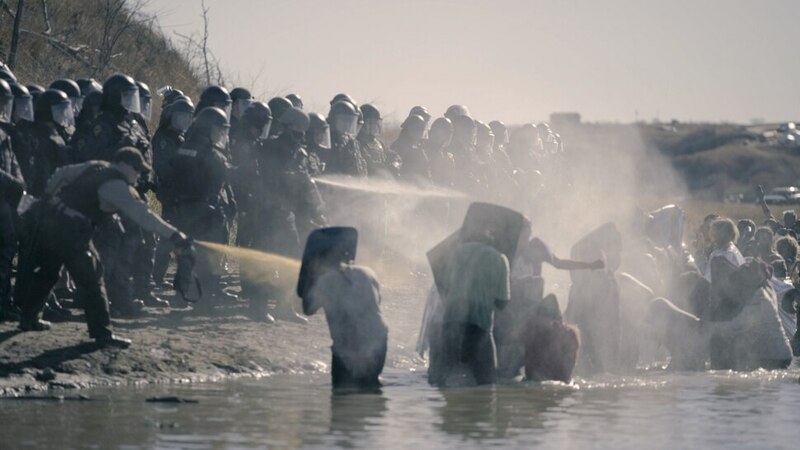 (Cody Lucich | courtesy Sundance Institute) Activists face a barrage from militarized police at the site of the proposed Dakota Access Pipeline, in a scene from Cody Lucich's Akicita: The Battle of Standing Rock, which will screen in the Documentary Premieres program of the 2018 Sundance Film Festival. ( | courtesy Long Dumb Road LLC / Sundance Institute) Jason Mantzoukas (left) and Tony Revolori play men at personal crossroads, who take a road trip together in Hannah Fidell's The Long Dumb Road, which will screen in the Premieres program of the 2018 Sundance Film Festival. (Jojo Whilden | courtesy Sundance Institute) A married couple (Paul Giamatti, left, and Kathryn Hahn, center) welcome a dropout (Kayli Carter) into their lives, possibly to carry their baby, in writer-director Tamara Jenkins' Private Life, which will screen in the Premieres program of the 2018 Sundance Film Festival. ( | courtesy Samuel Goldwyn Films / Sundance Institute) Hamilton Morris (right, with Natassia Gorey Furber) plays an Aboriginal Australian in the 1920s, on the run from a posse after shooting a white man in self defense, in Warwick Thornton's Sweet Country, which will screen in the Spotlight program of the 2018 Sundance Film Festival. ( | courtesy Sundance Institute) Filmmaker Todd Haynes will be the subject of a retrospective, An Evening with Todd Haynes, in the From the Collection program of the 2018 Sundance Film Festival. “An Evening with Todd Haynes” • The director of “Wonderstruck” will sit for an onstage interview with producer and longtime collaborator Christine Vachon in an event that will include his early work, including a recently restored gem. “Smoke Signals” • The 1998 movie by director Chris Eyre and screenwriter Sherman Alexie, in which two friends (Adam Beach, Evan Adams) journey outside their Indian reservation in Idaho for a road trip to Arizona to pick up the ashes of the father of one of the young men. “Hereditary” • Filmed in Utah, this suspense thriller follows a family who inherit a dark legacy from their recently departed grandmother. Written and directed by Ari Aster; the cast includes Toni Collette, Gabriel Byrne, Alex Wolff, Ann Dowd and Milly Shapiro. “Lords of Chaos” • A teen (Rory Culkin) attempts to launch Norwegian black metal in Oslo, but an encounter with a mysterious loner (Emory Cohen) leads to a rivalry and violence. Directed by Jonas Åkerlund (“Spun,” SFF ’02), who co-wrote with Dennis Magnusson. “Isle of Dogs Behind the Scenes” • A virtual-reality look at the miniature figures in Wes Anderson’s forthcoming animated tale. The work is a collaboration between the movie’s production team and VR artists Felix Lajeunesse and Paul Raphael. “The Long Dumb Road” • Tony Revolori (“The Grand Budapest Hotel”) and Jason Mantzoukas (“The Disaster Artist”) play men who face separate crises, who meet and decide to take an unplanned road trip through the Southwest. Hannah Fidell (“A Teacher,” SFF ’13) directs and co-wrote with Carson D. Mell; the cast includes Taissa Farmiga, Grace Gummer, Ron Livingston and Casey Wilson. “Private Life” • Tamara Jenkins (“The Savages,” SFF ’07) writes and directs this drama about a couple (Kathryn Hahn, Paul Giamatti) dealing with infertility when they meet a college dropout (Kayli Carter) who might be a surrogate to carry their child. Also starring Molly Shannon and John Carroll Lynch. “Sweet Country” (Australia) • Set in the 1920s, this drama centers on an Aboriginal man (Hamilton Morris) who shoots a white man in self-defense and then must outrun the posse chasing him. Written and directed by Warwick Thornton, the movie also stars Bryan Brown, Sam Neill, Ewen Leslie, Thomas M. Wright and Matt Day. “You Were Never Really Here” • Joaquin Phoenix stars in this drama as a traumatized veteran who tracks down missing girls — until an assignment spins out of control, sending Joe into a conspiracy that could be his undoing or his awakening. Written and directed by Lynne Ramsay (“We Need to Talk About Kevin”), also starring Alessandro Nivola, Judith Roberts, Ekaterina Samsonov, John Dothan and Alex Manette.